Farmers have found out for a long time now that a lot of factors (both natural and man-made) need help or tweaking to be enough when they get to the plant. The sun for instance as important as it is to plants still sees about 30 to 50 percent of its radiation blocked by greenhouse structures and glazing before reaching the plants. This poses even more problems in areas where winters are longer and growing season shorter. This challenge has overtime necessitated the invention and use of supplementary lights, as a way to reach optimal crop production. A lot of forward thinking growers have gotten to learn that the LED grow lights are the best lighting source when it comes to any type of indoor operations. LEDs are cheaper. Very affordable when compared to other alternatives. 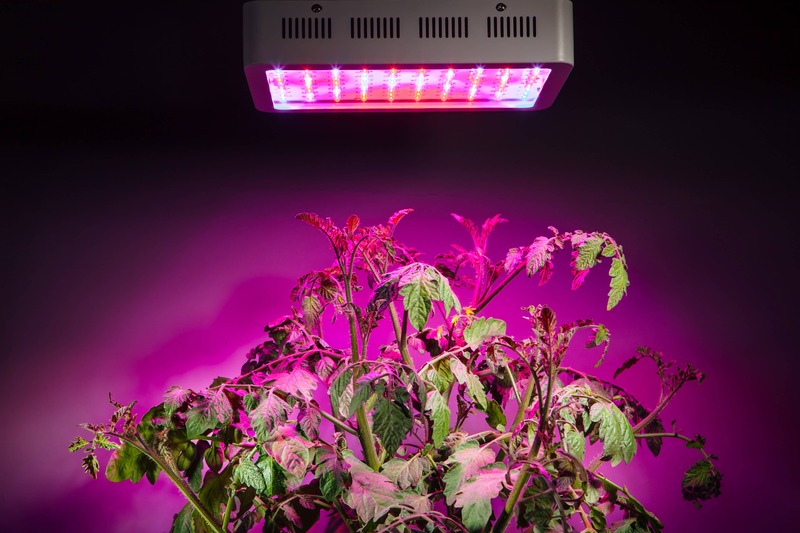 Well, you can argue that the initial price of the best LED grow lights is higher when compared to old-fashioned lights, but even that is changing. The cost of LED technology has been on a constant fall over the past few years, making them affordable to a lot of people. But even aside from that, LEDs cover for their cost in a very short time, and they do so in a lot of ways. If you are good with business, you’d know that the total cost of ownership of any equipment goes beyond its initial price of purchase. The U.S. Department of Agriculture (USDA) reports that farmers suffer a lot from paying for energy. It is in fact the third biggest expenses for a lot of growers, with lighting taking a major chunk of these expenses. LEDs have proven themselves to be efficient, its efficiency is rated to be up to 66 percent more than legacy HPS (high pressure sodium) lights when compared based on light. The energy efficiency of LEDs even speak for themselves when you include the granular control into the comparison – Of course this feature is offered by LEDs and not available with HPS lights. LED grow lights do not only help growers save large parts of their electricity bills, it also help to cut other costs down. The absence of radiant heat blasting plant from above will lead to reduced usage of water, because there’s less evaporation. Well, it also keeps a grow space cool, which naturally is a challenge for most growers. LED lights save a lot of money and energy because the reduce the need for air conditioning. Unlike the new improved LED lights, legacy lights operate on binary control system. They are either on or off, producing the same spectrum across the room for every plant, irrespective of their needs. This means that every plant gets the same spectrum, no matter their varieties, as long as they are in the same space. But think about it – why would every crop get the sane light when they don’t get the same nutrients? Well, LED lights, is changing that using their new networking hardware and software to allow growers the opportunity to craft proprietary light formula or recipe to make the plant the best they can be, ready for the market. The ability of LEDs to handle the steering of plant growths gives plant hormones more relief from handling the job. It doesn’t just reduce the need for hormones to handle the job, it also reduce/eliminate the need for pesticides, according to some studies. This findings have shown that workers would no longer need to be exposed to these pesticides that are sometimes toxic to the health. Like we mentioned earlier too, the reduction of heat aimed at plant means reduced evaporation and less need for fertilizer, causing reduction to being exposed to yet another chemical substance. Greenhouses and other confined growing spaces will be healthier for people who work in them when the use of plant hormones, fertilizer and pesticides is greatly reduced. Having a controlled growing environment will result in less waste of water, less chemical runoff and better use of space. Adding LEDs to the equation even betters the chances to achieve environment friendly growth process. Like it has been stated above, reduced heat resultant from the use of LEDs will cause less water to be used and this will be very useful in times of drought. There’s a lot more to the savings discussed above than just monetary values. The efficiency of LED grow light also leads to an environment with reduced carbon footprints too. Growers who have taken to improving their knowledge are always looking out for new tools or mechanisms that will give them a lead over nature and the competition. 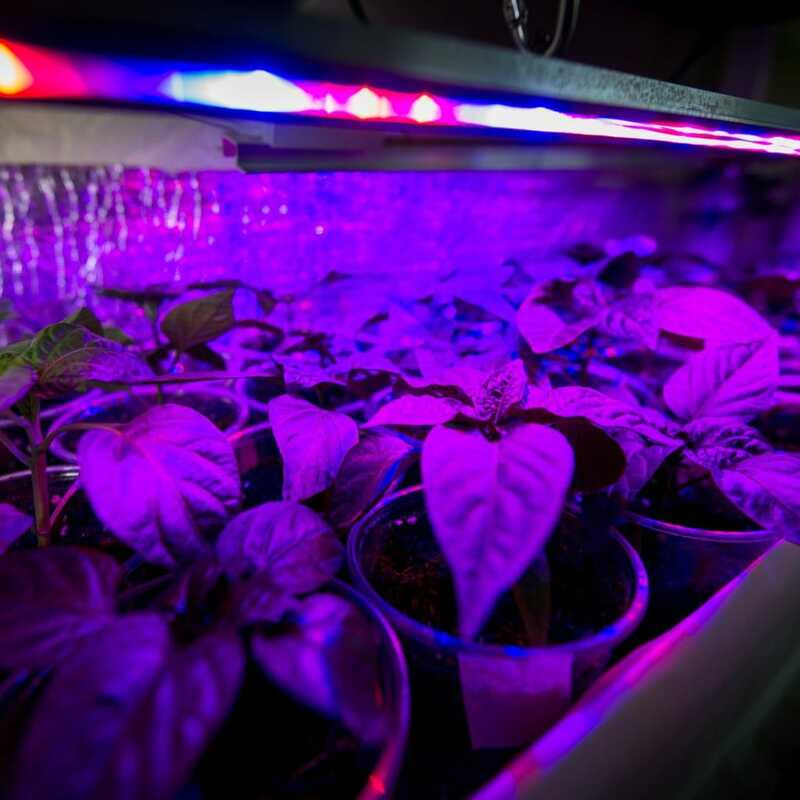 The launch of Horticultural LEDs, network control systems and many other recent developments in spectral science have only contributed to gaining a world where growing operations are more efficient, more productive and less expensive. 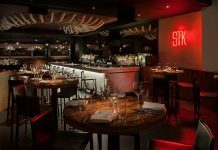 If you are yet to experience this, it is worth trying. You’ll be glad you ever tried.